We’ve waited a long time to see this!! Housing inventory at an all time low! 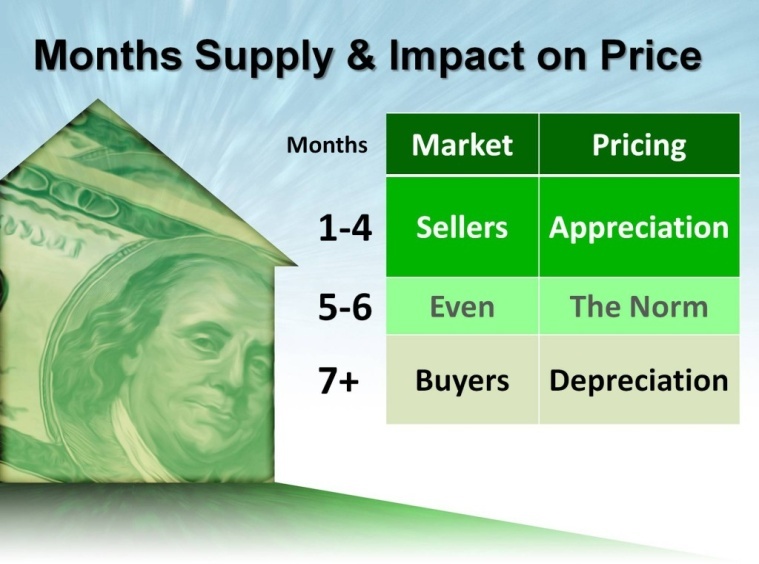 1-4 months supply creates a sellers’ market where there are not enough homes to satisfy buyer demand. Appreciation is guaranteed. 5-6 months supply creates a balanced market. Historically home values appreciate at a rate a little greater than inflation. 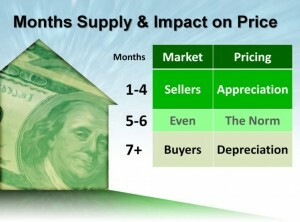 7-8 months supply creates a buyers’ market where the number of homes for sale exceeds the demand. Depreciation follows. Currently in the Triangle we have roughly 4.2 months of inventory. This number fluctuates based on your City and Neighborhood but overall we have made the switch from a buyer’s market to a seller’s market. According to NAR’s latest Existing Homes Sales Report, raw unsold inventory is at the lowest level since December 1999 when there were 1.71 million homes on the market. According to this month’s Pending Sales Report from NAR, houses going into contract reached levels last seen in April 2010 which was the month the Home Buyers’ Tax Credit expired.